Services You Can Trust: As a company, we are a member of the Centurion Solutions Teams, as well as TIPS and TAPS. This means that we adhere to strict regulations while providing our services. 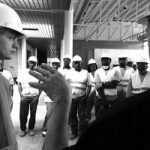 We also operate under the HGACBuy Contract, which provides support, training, and planning for disaster preparedness and recovery. As far as our individual technicians are concerned, each must pass rigorous classroom and real-world training in order to provide services. IICRC certifications are mandatory. 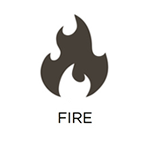 Some of our professionals are considered Master Fire and Water Restorers, which means they have had at least 7 years of training in these fields. All of these requirements are to ensure that you receive optimal results when working with us. Offering a Variety of Solutions: We do everything possible to make sure we can assist you in your time of need. One such way is by providing a variety of service offerings. If you are in need of disaster restoration services in Cypress, TX, please do not hesitate to contact our Target Restoration representatives. We can be reached at (713) 966-6064. 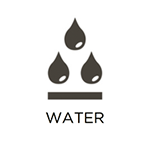 No matter the source of the excess water or moisture on your property, it is important to address it swiftly. Water can cause substantial damage in little to no time and even lead to the growth of mold within 24 hours. 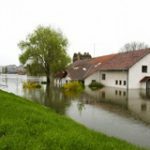 At Target Restoration, we offer 24/7 water damage restoration services to prevent this from happening. Our Master Water Restorers and IICRC-certified technicians will fully restore your building and belongings and return your property to a safe and livable condition. We offer these services to residential and commercial property owners in Cypress, TX. At Target Restoration, we provide comprehensive fire damage restoration services to property owners in need in Cypress, TX. No matter the cause or scale of the damage, we will restore your building and its contents in an efficient and effective manner. From site-stabilization procedures through complete restoration services, we will be by your side. Our ultimate goal is to provide you with peace of mind during this difficult time. 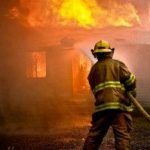 We address damage from fire, smoke, and soot on commercial and residential property and we will work with your insurance provider throughout the process. 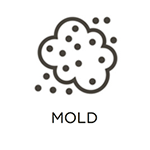 Whether on a small or large scale, mold growth can present a number of unique problems to property owners. It can damage building materials and personal belongings, and adversely affect the health of anyone exposed. 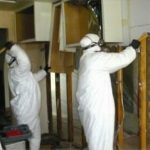 At Target Restoration, we offer full mold remediation services to property owners in Cypress, TX, to mitigate these risks, and restore affected elements. Through our certified procedures and expertise, we will return your property to its original condition, and prevent mold from returning in the future. Recovering from a major disaster can be expensive both emotionally and financially. 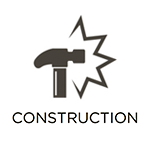 At Target Restoration, we do everything we can to limit these costs through our reconstruction services. We provide 24/7 emergency response services to stabilize your building, restore power, and seal off your building to prevent additional damage. We then work with you throughout the reconstruction process to restore your building and belongings to their original condition. We provide these services to residential and commercial property owners in Cypress, TX. 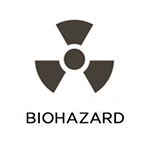 Whenever dangerous biohazard materials appear on your property, it is important to contact professional restoration experts as soon as possible. This is because cleaning them up can be dangerous and lead to the spread of diseases and infections. At Target Restoration, we provide complete biohazard cleaning services to property owners in Cypress, TX, to address these situations. We utilize advanced sanitization equipment to safely and effectively remove these materials from your property and disinfect affected areas. We are specifically trained and licensed to provide these services and will do everything possible to return normalcy to your property swiftly. For any of the services listed above in the Cypress, TX area, contact Target Restoration at (713) 966-6064. We are available 24/7 for emergencies.